Anyway, I've had my eye on this product for a while and knew I had to try it when I read Lauryn's post about it on The Skinny Confidential, she praises the hell out of it! 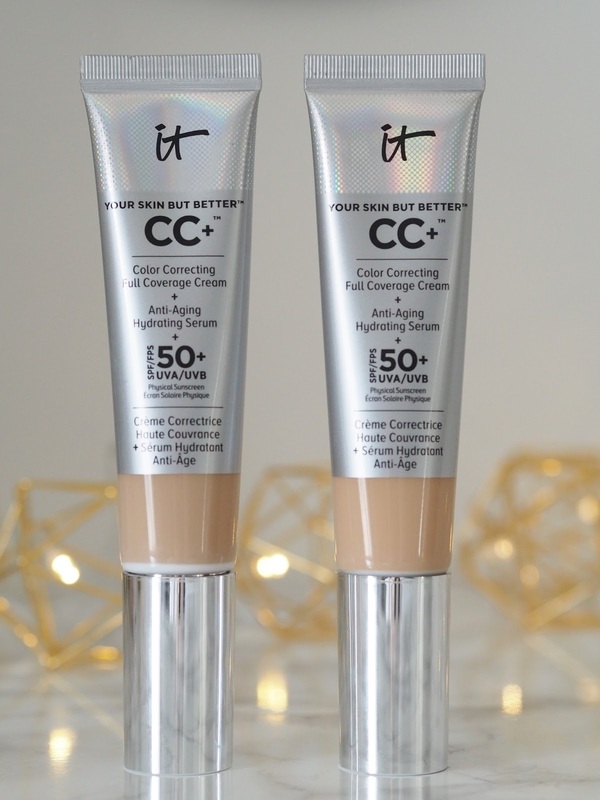 It's the IT Cosmetics Your Skin But Better CC+ Cream. I've never used a CC cream before so was a bit sceptical that it would be any good for me, but it had got rave reviews so I was like, "okay, let's give it a go". I ordered mine from QVC so knew if I didn't like it I could at least send it back for a full refund. 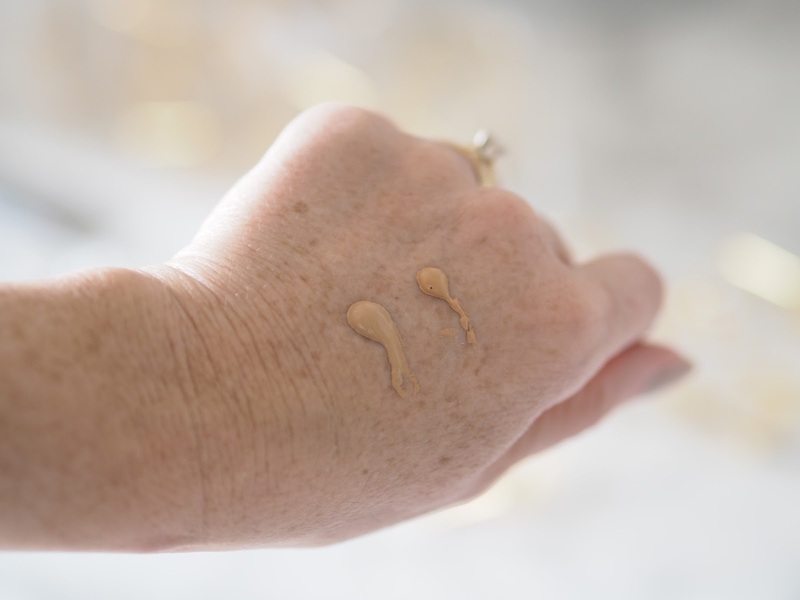 This CC cream is formulated by plastic surgeons and it's your anti-aging serum, moisturiser, primer, sunscreen and coverage ALL IN ONE. Wowzer. Impressive stuff. It's the factor 50 that I'm seriously impressed with. I loved it from first application, and it's as light as you like so perfect for the summer months when you don't want anything too thick or heavy on your face. Bear in mind though this is not a full coverage foundation, it's a cc cream, but having said that it does give fabulous coverage, some days I need more, but for the most part this is all I need. It blends like a dream and you don't need much. It doesn't sit in lines or end up all cakey at the end of your day shift, cos you know how sometimes you walk in at the end of the day, look in the mirror and you think 'Jesus Christ', the redness is back, the bags are showing and pores are there in force, not with this CC+ cream, in fact I've walked in after work, gone straight to the mirror and been very impressed with the staying power, it lasts all day. Skin feels hydrated, doesn't crease and it's been protected. A multi tasking miracle. I'm not a fan of foundation brushes so I apply this directly to my face, blend with my fingers and then go straight in with a beauty blender to blend away those damn open pores of mine. The beauty blender is my life saver, trust me, if you haven't tried one yet, you have to, I don't do dupes though, only the original will do guys. I then finish with a light dusting of this setting powder. I've heard that some people get different results with different brushes/sponges and ended up not liking it at first so have a play around with application techniques and I'm sure you'll fall in love. Smells good too, like lemony good! And that glow. 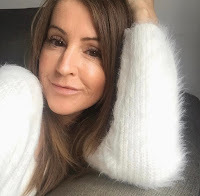 That's what I love about it the most, that it gives you an almost dewy, healthy glow, I genuinely couldn't believe how good it made my skin look the first time I used it, like you're not wearing anything, but you are. I ordered the light and the medium shade. I could get away with the medium but it was just ever so slightly dark for my skin as it is right now, you know, no sun or colour, pale as you like so I sent that one back for now. I will re-order the medium in a few weeks as hopefully my skin will have taken on a little colour from being outdoors when summer shows it's face here in the UK. I'm being rather optimistic aren't I?! The only thing I don't like? The silver colouring on the tube flakes off on your fingers sometimes when you squeeze it and you can end up with bits of it on your face. It's only minor and wouldn't stop me buying it again but please sort it out IT Cosmetics! 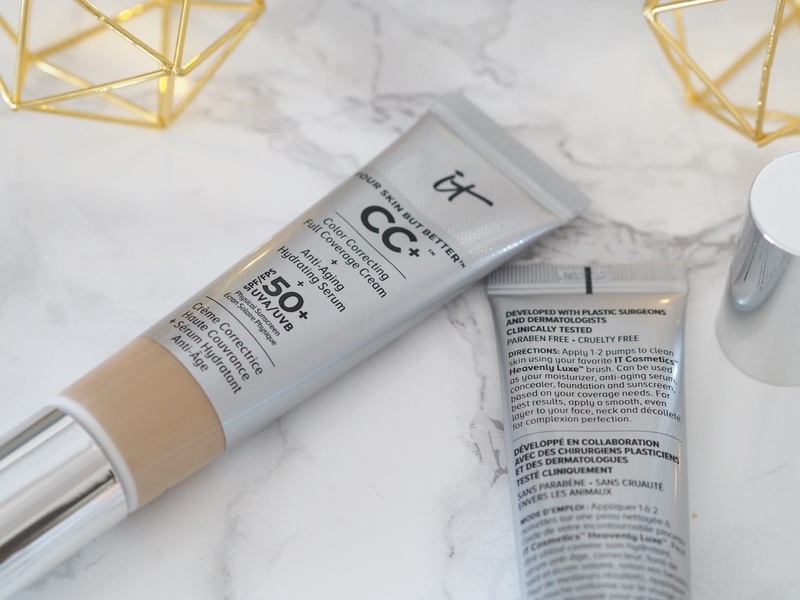 This CC+ cream is a bit of a cult product in the US and really does feel like your skin but better. Hands down the best cc cream I've ever tried, okay the only one, but I think it'll be around for a while folks. Actually, I want to try their illumination CC+ cream but it's not available in the UK yet. Arghhh. You can find details here for the product on QVC if you want a no fuss money back guarantee. Have you tried anything from IT cosmetics? Thoughts? I love my CC cream, think it's a real gem, but this one sounds fab! Ooh which one do you use Heather?